The tourism and hospitality industry is a major source of employment. 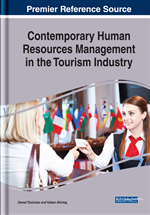 This chapter identifies the possible sources of employment through tourism and tourism education. Additionally, the chapter outlines immense tourism opportunities in the region in order to enhance the employment and business ventures. The chapter highlighted the relevance of tourism education to generating and availing job opportunities. The chapter also highlights the factors and challenges which diminish the success of tourism industry at the region likewise – lack of tourism education courses, poor infrastructure, and lack of proper transport services, event management companies, seasonality, and lack of marketing of tourism attraction/tourism products. The region compromises great potential for employability in tourism and hospitality industry despite of it the region is suffering a lot due to unemployment. The major cause is non-availability of professional courses in tourism, travel, and hospitality. Tourism industry is the most demanding and growing industry from past few decades. According to Goeldner and Richie (2003), tourism is the world’s biggest industry. Sola (2002) defined that tourism activities are differing to person to person, with its excellence depending on the education and inspiration of its workers (Sola, 2002). Tourism is filled by a huge number of small and medium sized businesses in multidisciplinary field. (Thomas, 2000; Ayres, 2006).Although tourism industry is not paying the returns to everyone in the same way but there is no doubt it is beneficially for all in one or another way. The most prominent benefit of this industry is creation of employment and business opportunities. In present era the main source of income and employment is Travel outflow for many countries (Edgell, 2006).With these types of changes the demand of tourism education and courses is raised. On the other hand an extensive inclination has been to pay notice not just to the content of tourism degrees, but to the virtues of graduates in requisites of skills and aptitudes, which are referred to as nonspecific skills and graduate characteristics (Pearce, 2005). From personal outlook for provisions of employment and from organisational outlook in terms of the labour contribution tourism education is very much connected to the tourism industry (Ladkin, 2005). According to Riley et al., (2002) it is difficult to examine tourism employment because of the miscellaneous and split character of tourism industry. Second, Ladkin (2005) defined investigation of tourism employment markets, however, is challenging, due to the variety of the tourism industry. Regardless of the multiplicity of tourism employment, a number of kinds of employments in the industry can be recognized, including seasonal, part-time, female, emigrant/migrant, and active in the casual economy (Andriotis & Vaughan, 2004). An attempt has been made by (Leiper, 2004; Richardson & Fluker, 2004; Riley et al., 2002) to give a broad list of tourism division which includes- travel agencies, transport and tour operators, conferences and events, environment supervision, medical and spa tourism, government offices NGOs and educational institutions. Different kinds of matters unfolding to interest in tourism and hospitality employment, counting employment motivation, achievement insight and employment attainment strategies has been investigated by Ross (1992, 1993, 1997). Speedy growth of the tourism industry creates numbers of employment and business opportunities. This industry is not only plays a vital role in economical growth but also in social –cultural development, protection of heritage and promotion of destinations. The main objective of this chapter is to scrutinize the relation between tourism education and employment. According to Riley et al.,(2002)tourism education needs to meet out the three crucial factors – to focus upon the personal development, to enhance the knowledge level, and to meet up relevancy to industry. Tourism Education: Students who are taking courses such as tourism management, hotel management in the university or college level tourism departments. Curriculum: A curriculum is a program of courses approved for a specific degree or certificate to earn a degree or certificate in a specific program. Employment: The action of giving work to someone. Education: Means a program or programs to develop and promote the training, general knowledge, or academic, technical, and vocational skills and cultural attainments of individuals in a community or other given political area. These programs may be conducted by schools, including preschool activities and child care centers, colleges, universities.